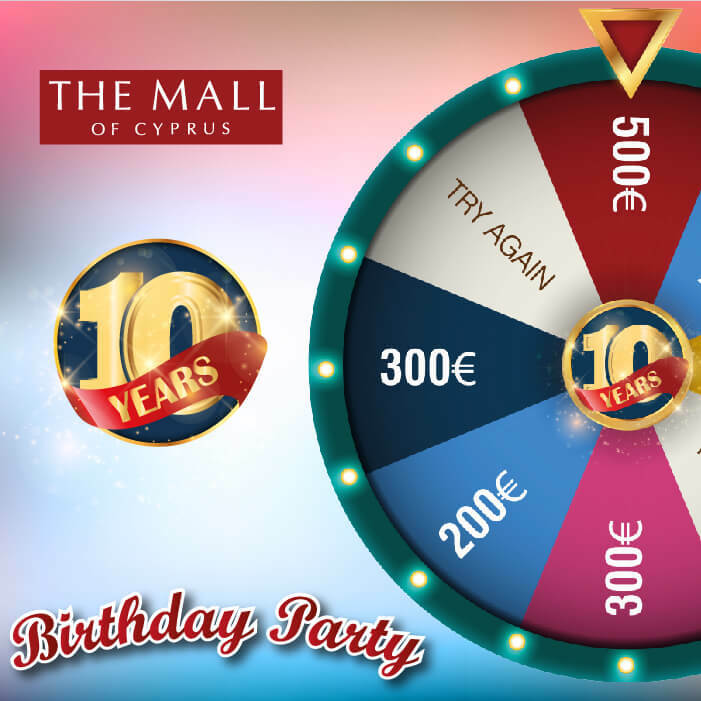 Come to The Mall of Cyprus for our 10th Birthday Party, this Saturday, 23 September, between 3pm and 7pm. Spin our Birthday Wheel of Fortune and get the chance to win big prizes from our shops! 3 winners will get 500 Euros, 300 Euros and 200 Euros respectively in shop vouchers!